There isn't anything that isn't music. Bird song, summer breezes, ocean waves, peeping frogs in spring. It is part of every day in every culture around the world, welcomed for communication, entertainment, relaxation, or healing. Music can lift our spirit, ease our mind, stabilize our heartbeat, lessen our pain. Therapeutic music is live music offered in service of healing. 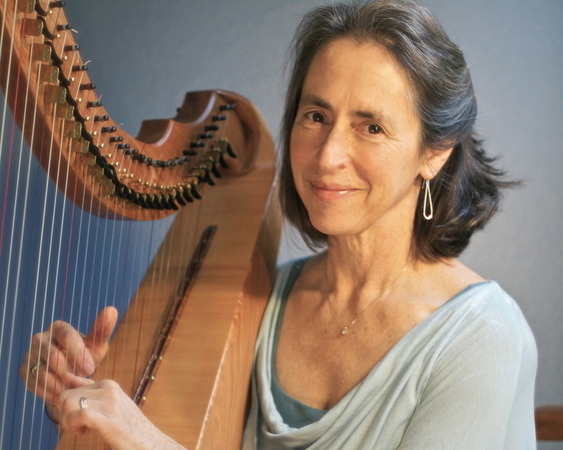 The harpist pays close attention and responds to the patient's immediate need, be that of reducing pain, offering comfort and soothing, or helping to release one's hold on life. Sound waves literally bring the mind, body and spirit into balance. Gentle Muse will come to you in your hospital room or home, facilitating ease during life's challenging times. Judy travels throughout Kitsap County, WA as well as to surrounding areas.